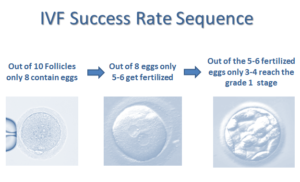 As shown below, the success rate of IVF cycles in Al Hadi IVF Center is around 65% and increases to 85% in case of cumulative IVF cycles (two to three times repeat of the IVF cycle) also, this percentage increase in case of PGS to 70% since studying the genetic information prior to implantation increases the implantation. And also the success rate of cumulative PGS (two to three times repeat) increases to 90%. 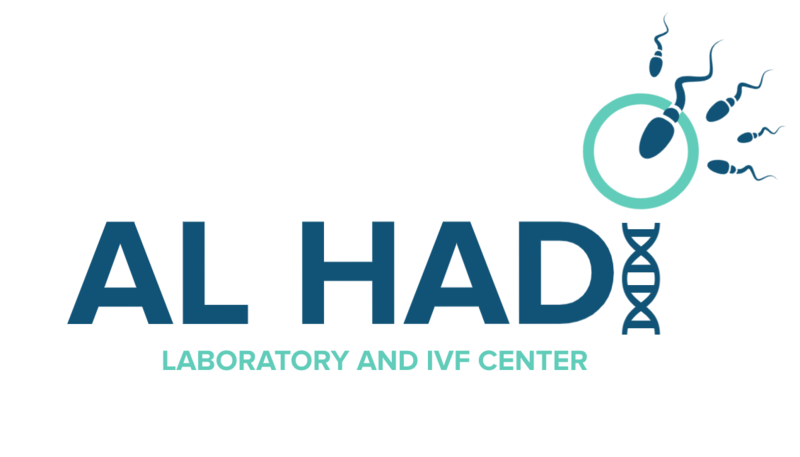 What You Need to Know About IVF Results? The question is why IVF success rate is 60-80% not 100%, even though the latest techniques are used and all conditions are followed. In vitro fertilization (IVF) is a process by which the eggs are aspirated and fertilized by sperms outside the uterus then when embryos form they are returned back. Many factors play an important role in decreasing or increasing the IVF result like: medical history, sperm quality, age, smoking, eggs quality, PCOS, endometriosis, uterus form .. These factors affect the quality of embryos obtained thus decreasing the success rate. When the embryos are transferred back to the uterus, even the implantation rate is affected by the factors listed above. Moukarzel Street, above First National Bank, Autostrad Al Sayed Hadi, Haret Hriek, Beirut, Lebanon. Skip calling and book your appointment online now with one click! Copyright © 2019 | alhadi-ivflebanon. All rights reserved.